Now that Halloween is over, the holiday season is upon us. The local malls have already hung their Christmas decorations and talk of what will be served at family dinners has already begun. In just a few short weeks, your extended family will be arriving to stay for a few days. Is your home ready for your holiday guests? Most of the time we think of the obvious things such as: are there enough places to sleep, do we have enough food, are the sheets clean and did we wash all the towels? But there are a few things you can do to make sure your family’s stay with you a happy stay. 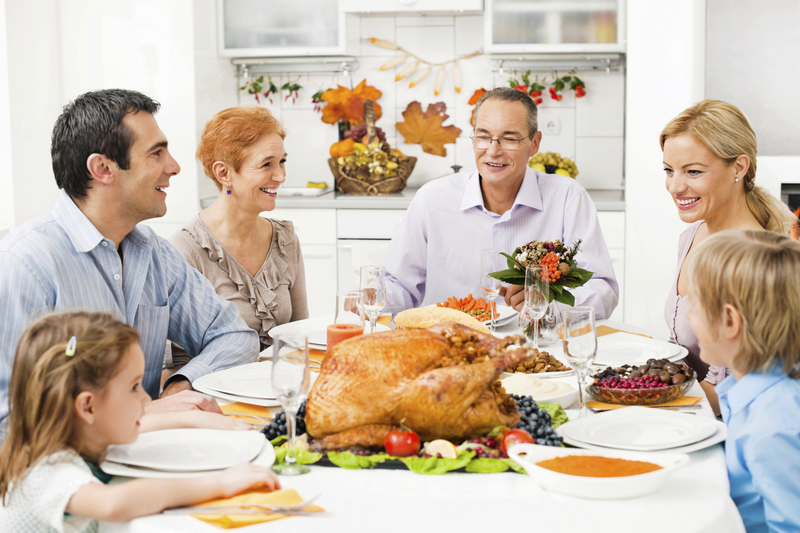 First make sure you have your holiday guests in mind, not just your household. Think about the questions you have before you stay over at someone’s house. Will it be too cold or too hot? What if they don’t wake up as early as me? I don’t want to sleep with the cat, can they keep him out of my room? 1. Depending on how long your guests are staying and if they will be bringing dressy clothes for church or a party, you may want to clear some space in the guest room closet. Many guests assume they will be living out of a suitcase for the time they are away so giving them somewhere to hang their clothes will be a welcome surprise. If you can’t clear a spot in the closet, set up a moveable laundry rack. That way when the guests are gone, you can just disassemble it and put it away. 2. Consider the temperature of your home. You may be comfortable with the heat set at 65 degrees Fahrenheit, but your elderly mother-in-law may be freezing. Place portable electric heaters in the living room and the bedroom so your guests don’t have to feel embarrassed to ask for the room to be a little warmer. 3. If you have pets, think about how that will effect your guests. We are not saying you need to send the family dog to the kennel for the week, just make sure you’re guests are okay with the habits your family has with a pet. Your guests may be leery if the dog jumps on the couch and sits in their lap or if your cat snuggles into the guest bed with them. Your guests may not be happy if they sit down and get covered in fur, either. Vacuum and set boundaries for your pet. On the flip side of that, if you know your guests love animals, consider inviting their family dog for the week too. 4. Offer them the wifi password. Many of your guests may bring the whole family. Dad may need to jump on his laptop for a few hours and you know the kids need to check their Instagram and Facebook. Offer your guests the wifi password when they arrive and they will feel like they are less of an inconvenience than if they had to ask for it. 5. This suggestion require more time and money. Take a look at the guest or main bathroom in your home. What kind of shape is it in? Sure you can clean your heart out, but it still may be unimpressive. Did you know there are companies that can still remodel your bathroom before your guests arrive? ReBath Northeast is proud to say we are one of them! If you give us a call this month, we promise to have your tub or shower ready to use before your holiday guests step foot in your door. For more information, visit our website. This entry was posted in Home Improvement Tips and tagged bathroom remodel before holidays, holiday guests, NEPA, preparing for guests, ReBath Northeast. Bookmark the permalink.